At first, going to a Pole is interesting, but by the tenth or twentieth clone, it has become more sport than exploration, drawing not travelers so much as trophy hunters. Yet there are still several bold, original and magnificent things left to do in the polar regions — South Pole in winter, anyone? Or solo to the North Pole and back to land? Even more wonderful, though, is how much remains to be done beyond these usual suspects. I’ve logged thousands of kilometers and accumulated several years in a tent north of 75 degrees, but I feel that I’ve barely scratched the surface. There are lifetimes of fine expeditions remaining. Dozens of people bike, walk, run, wheelchair or limp from west to east across Canada, but the country is only 880km less from north to south than from east to west, and no one has done the vertical direction, from Cape Aldrich on Ellesmere Island to Point Pelee in southern Ontario. Yet it’s very makeable. A small, strong party should be able to complete it in 10 months. There is a natural route with communities nicely spaced about 500km apart for resupplies: Cape Aldrich-Eureka-Grise Fiord-Resolute-Arctic Bay-Igloolik-Cape Dorset-Ivujivik-down the east coast of Hudson Bay to Moosonee in northern Ontario. From here, it’s home free: You can walk south along the railway tracks, if desired. I’ve never measured the route’s precise distance, but it’s somewhere over 5,000km. This overwhelmingly arctic expedition combines sledding and kayaking, with hiking from Moosonee. Maximizing the sledding season requires as early a start as possible: beginning in the dark at Cape Aldrich in December at the latest. (Getting to Cape Aldrich during the Dark Season is one of the logistical challenges.) Figure about four weeks to Eureka, three weeks to Grise Fiord, a month to Resolute, etc. 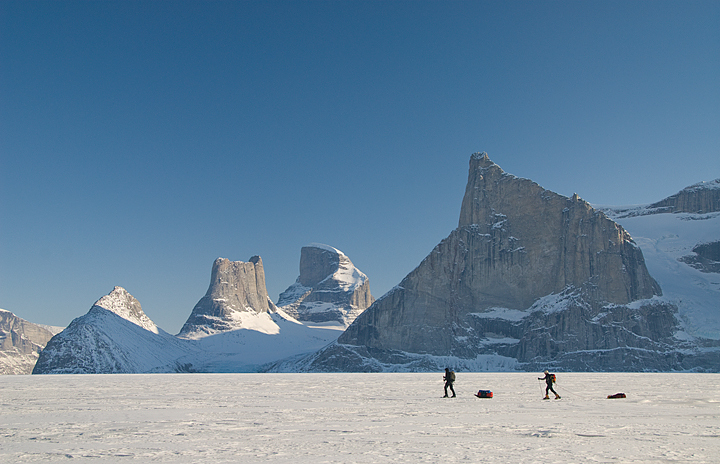 You should be able to get well down Baffin Island before having to switch from sledding to kayaking. For years, I half-wanted to try this route, but the organization of such a mega-project takes too much time for my taste, and I don’t enjoy being out there that long. But Canada North to South is a major first. By the way, no fair doing it in pieces. Bit-by-bit projects are mainly the recourse of those who try to do it in one go the first time, fail and then figure that they can get most of the credit for the route if they just keep chipping away at it over a period of years. A marathon run in 10-km sections is not a marathon. 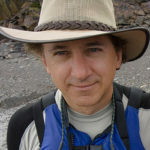 I first mentioned this expedition on my website a few years ago. Since then, a few parties have contacted me, intending to try it, but they all faded away, including, happily, one that wanted to bag the route on snowmobile. Being the first to re-do an historic expedition qualifies for this list, and one of the greatest, if not the greatest, sledding journeys of all time was the 1929 sovereignty patrol led by Inspector A. H. Joy of the Royal Canadian Mounted Police. 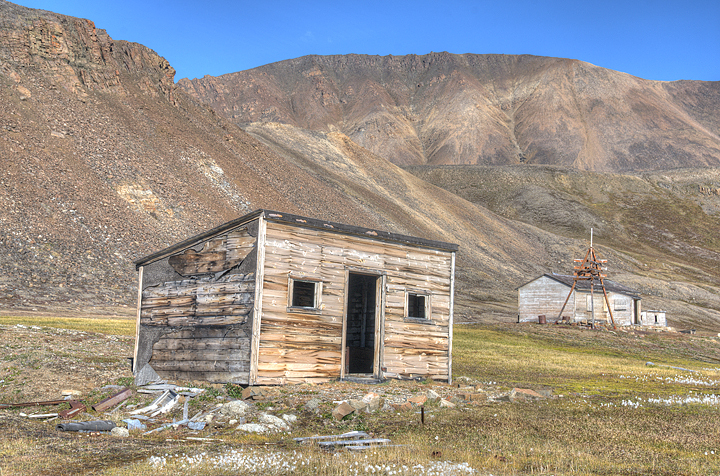 He and an Inuit partner dogsledded almost 3,000km from Dundas Harbour on southern Devon Island to Winter Harbour on Melville Island, then back to Bache Post, the RCMP station near present-day Alexandra Fiord on Ellesmere Island. It took them 81 days. They set off in mid-March, but in these warmer times you’d need to start even earlier. To my mind, the hardest section would be the final bit, through Sverdrup Pass on Ellesmere Island in late spring. There’s little snow in this windy pass even in late winter. A lot of dragging over bare gravel. Just before the finish line, you’d also need to detour around the Flagler polynya. Fortunately, a glacier that used to block Sverdrup Pass and force a difficult detour has receded in the last half-century. This isn’t a famous route, but then, it hasn’t been re-done by 50 other people, either. No one has attempted it — not even, curiously, the recent army patrols by snowmobile to promote Canadian sovereignty. Politics aside, Joy’s journey was a heroic example of competent travel in crazy-extreme conditions. Sledder-photographer John Dunn has done some nice firsts, including the lengths of Ellesmere and Baffin Islands and northern Labrador. When he did these three one after the other, I wondered whether they were part of some grand plan to circumnavigate the entire perimeter of Canada over his lifetime. Perhaps, perhaps not, but what a project that would be. The very idea of linking related routes on such an insane scale as a career goal is refreshing. It’s structural thinking, where most adventurers tend to be scattershot with our body of work. True, expeditions done in chunks separated by years are often second rate, and after all, nowadays some adventurers circle the entire globe in one push. 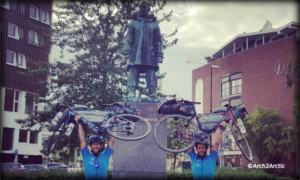 But circumnavigating Canada is vastly more difficult than bicycling across Siberia or even rowing the Pacific. The chunk approach works here. The cool thing is that you can do the two hard sides of the triangle, the east coast and the west coast, in your early and middle years, and schedule the standard east-to-west or west-to-east along the Trans-Canada Highway for your old age, during the lawn bowling off-season. 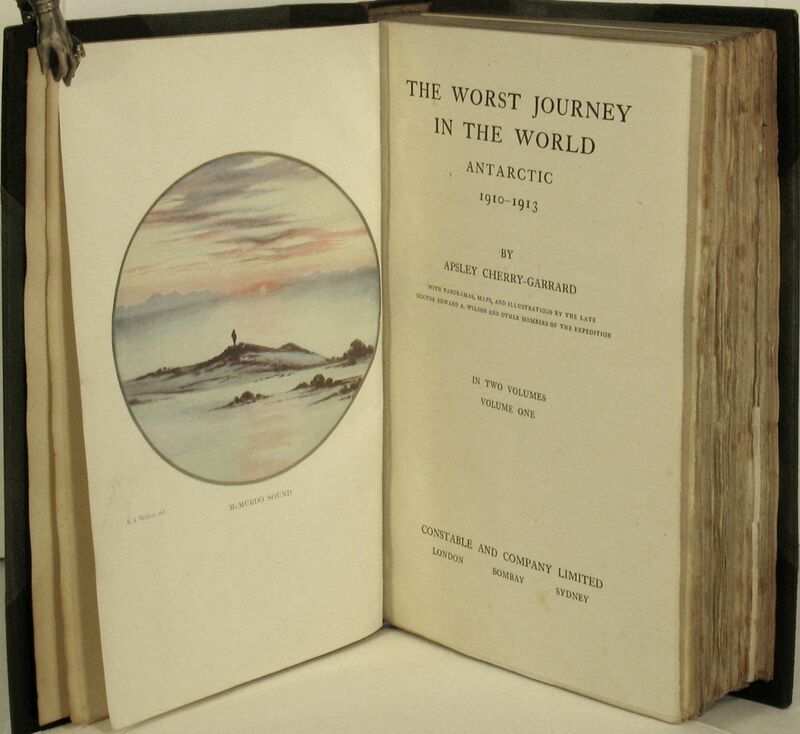 The Worst Journey in the World: Often considered the best adventure book ever written, largely on the strength of the Winter Trek story and the book’s magnificent final pages. The one Antarctic expedition I’ve always dreamed of re-doing is the winter trek that Apsley Cherry-Garrard and his two doughty companions took in mid-winter 1911 to collect emperor penguin eggs. Maybe it’s because his book — and in particular, the tale of that trek — is so marvellous. To this day, they hold the record for the coldest temperature ever camped in, -61°C. It was so unremittingly cold that Cherry-Garrard speaks of -45° to -50°C as a warm spell. And yet their route from Cape Evans to Cape Crozier is only 100km long. Two hundred kilometers round trip: That’s not much. I’ve camped comfortably down to -54°C. With slightly warmer equipment, -61°C is do-able. And who knows whether it even gets that cold in that part of the Antarctic any more. They had to trudge in the dark, but modern headlamps make that easier. 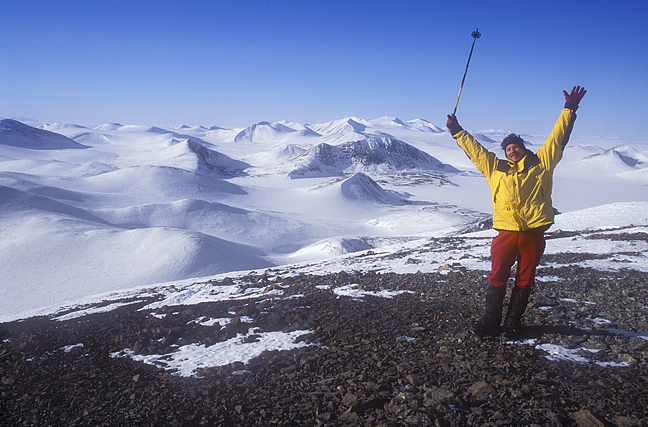 Polar night expeditions are understandably rare, but a few have been done. They sledded for five weeks, and that was their key mistake. With that short a distance, you can bring about half the amount of food they did, to avoid double hauling. You can pull 75kg across even frigid, abrasive snow. Despite the cold and dark, this is mainly a logistical challenge. 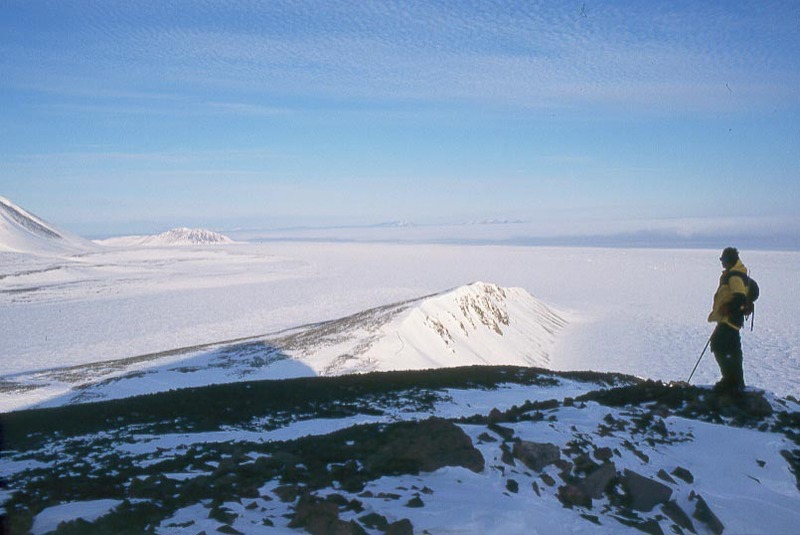 First, you need permission to stay at either Scott Base or McMurdo Station. Because there are no flights in the dark season, you’d have to go several months earlier and stay several months later. 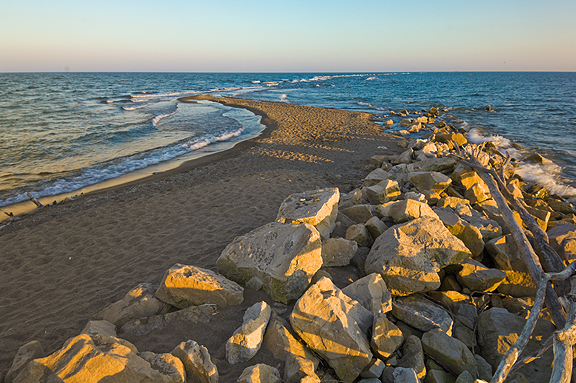 You’d also need permission to visit Cape Crozier, which is restricted because of its bird colonies. Sometimes, it’s only logistics, not degree of difficulty, that guard a route. 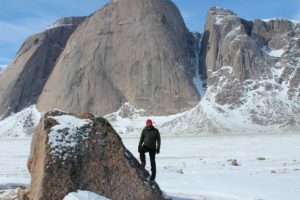 When my partners and I made just the fifth ascent of Ellesmere Island’s Barbeau Peak, the highest mountain in Canada or the US east of the Rockies, we didn’t join such rare company on the strength of our climbing skills — it’s mainly a 700m walkup from the ice cap. It’s just hard to get to. Kinda gimmicky but an original life list. A couple of the 13 are easy; Prince Edward Island isn’t more than a one or two-day bike ride, and Nova Scotia doesn’t have much vertical heft. On the other hand, Canada is the second largest country in the world, and most of the provinces and territories are huge. About 40 years ago, it took Andre Laperriere and his three companions an entire winter, three or four months, to ski Quebec from south to north — and their start and finishing points were not even the true ends of the province. By far the longest of the 13 is Nunavut, from 83°07′ to the 60th parallel near Arviat — about 2,500km. The Northwest Territories is only slightly shorter, from Borden Island near 78°N down to 60°N near Fort Liard or Fort Smith. Lists are increasingly popular but most just follow what other, more original adventurers have thought up — Seven Summits, etc. Peakbaggers climb all high points in the 50 states or Canadian provinces, or all the 14,000-foot peaks in the western states. Where I live, several people have even done all 156 scrambles in the Scrambles in the Canadian Rockies guidebook. Hiking up the Monroes, the 284 peaks in Scotland greater than 3,000 feet, is huge in that country. Point is, there are lots of original lists remaining, including this one, that do not smell totally contrived. 4 Comments on "5 Polar Expeditions for the Genuine Explorer"
Christopher, thanks for your interesting comment. Personally, I never call myself an explorer, and prefer terms like adventure or hard travel to exploration. Still, some of the things you see out there, and the experiences you have, are so wonderful that they do evoke a feeling of exploration. 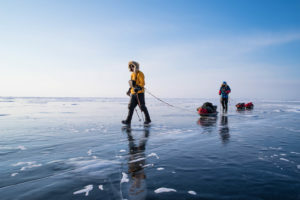 Perhaps worth a mention that Roger Mear, Gareth Wood and Dr Mike Stroud did the Winter Journey from Cape Evans to Cape Crozier as part of the first over-winter on the Footsteps of Scott Expedition in 1985. They were the first people to visit Cape Crozier in winter since Wilson, Bowers and Cherry-Garrard. The write ups of their winter journey are also compelling reads in ‘In The Footsteps of Scott’ by Roger Mear & Robert Swan, and ‘South Pole 900 Miles on Foot’ by Gareth Wood. I read that book years ago but didn’t remember the Winter Journey part. Did they do the round trip, or only in one direction?